Mr Sparkle Contract Cleaning Services can offer you complete piece of mind when it comes to a clean office, with highly qualified staff we can work together to get your office looking at its best. With an experienced, professional & enthusiastic staff base we all work together to ensure 100% satisfaction. 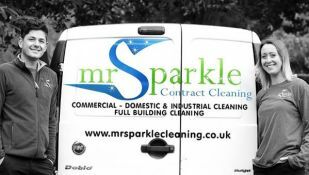 Mr Sparkle Contract Cleaning Services can offer you a hassle free no obligation estimate over the phone today, we can offer weekly, fortnightly or monthly spring cleans for your office. Contact us today on 01642 424205 and we promise you will not be disappointed.